One of the key constants in my program is my Letter of the Week Program. Each week we focus on a new “Letter of the Week”. Children do thrive on routine and this is reflected in my “Letter of the Week” program. It is a simple program that will run for the first hour of our day. We follow our Literacy learning with an obstacle course that focuses on Fundamental Movement Skills. Each week children will build upon their knowledge slowly. Parents will have an opportunity to know what you are doing in your class. They can focus on the content you are covering. 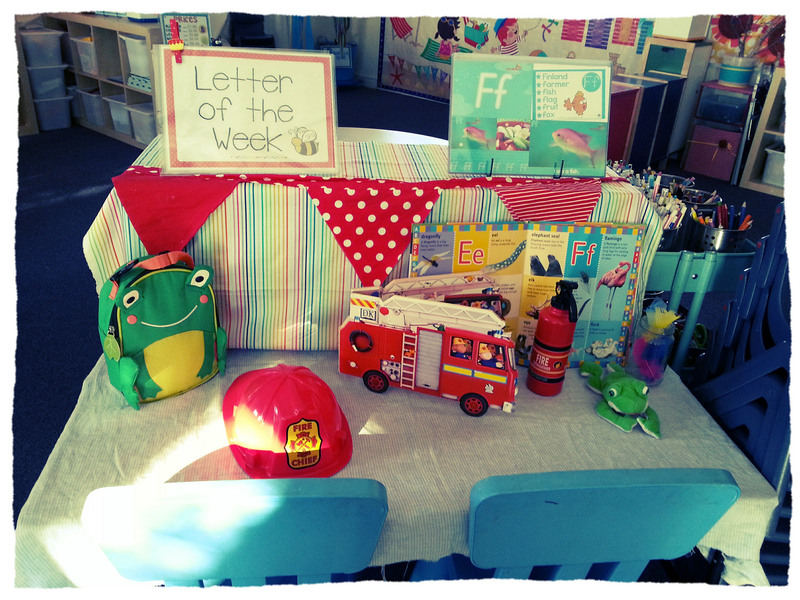 Create a Letter of the Week Table. 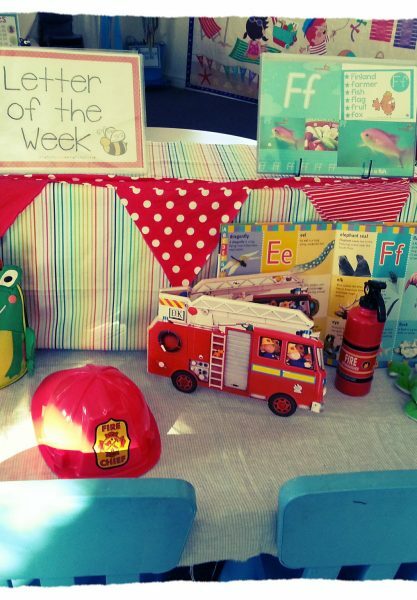 Each week children bring in an item beginning with the Letter of the Week. Each week children bring in an oral news item and place it in our “News Box”. Once they have placed their item in the news box children will come and sit on the class mats. When all the children have arrived we will “Find Our Name” and place it on our attendance easel. From there we form a circle and we sing our Name Song. As we sing children collect their name chart and practice writing their name. 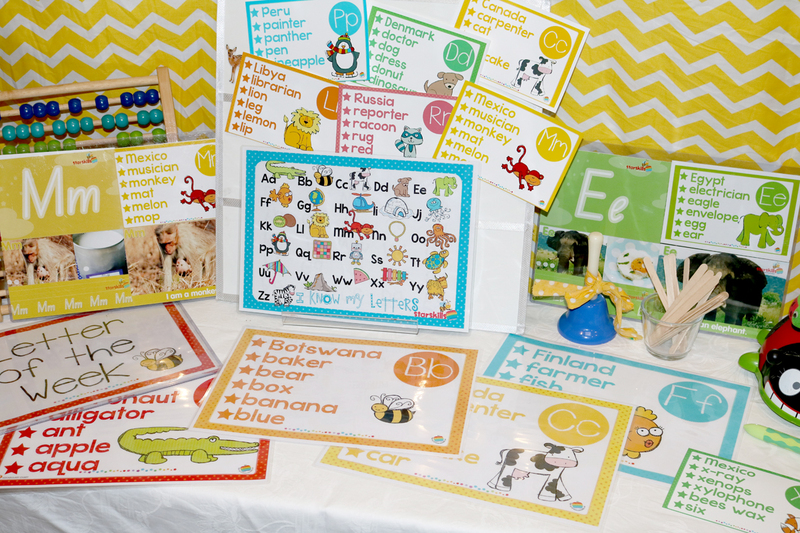 Children take Home their Weekly Vocabulary Card to clap syllables each week, as well as talk about the meaning of their new words in order to extend the child’s language and pronunciation. 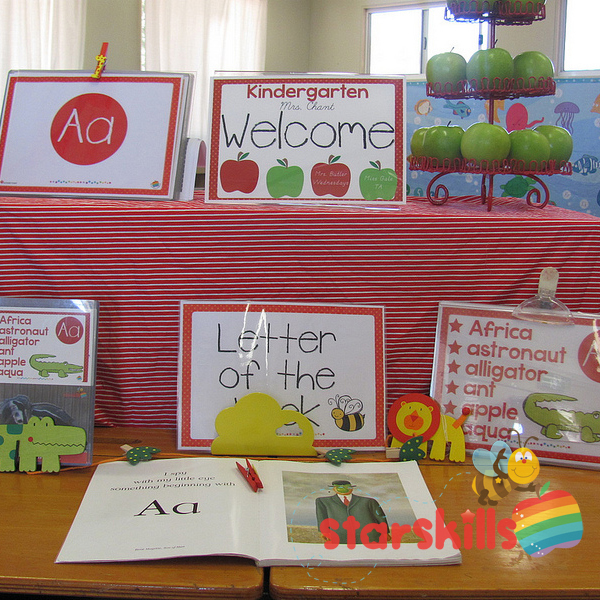 Some children come to Kindy with their “letter knowledge” however their phonemic awareness skills are lacking. 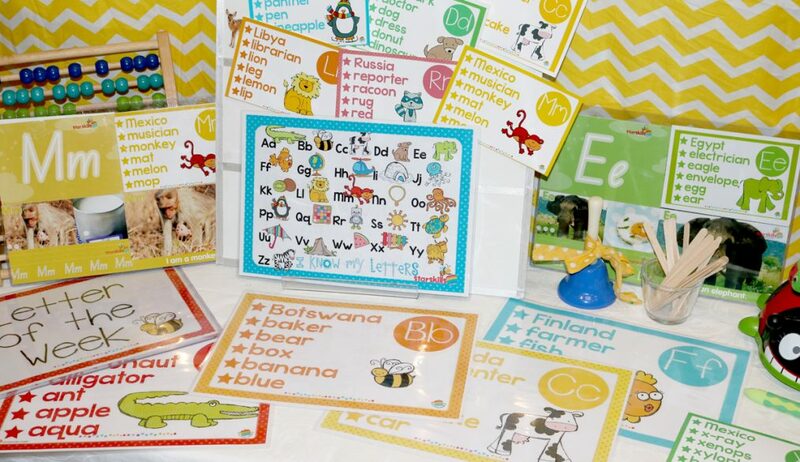 The focus of the Letter of the Week program is not to rote learn letters but rather develop and extend the child’s vocabulary and word understanding as well as phonemic awareness skills. This is formost in my mind above letter recognition. This will come over time and is not a priority for all the children. 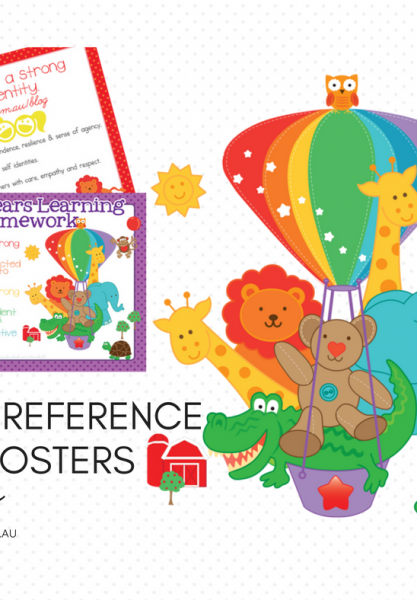 Pre school children from babies – pre schoolers can benefit. They love collecting the weekly cards. Especially the Animal / Food cards.